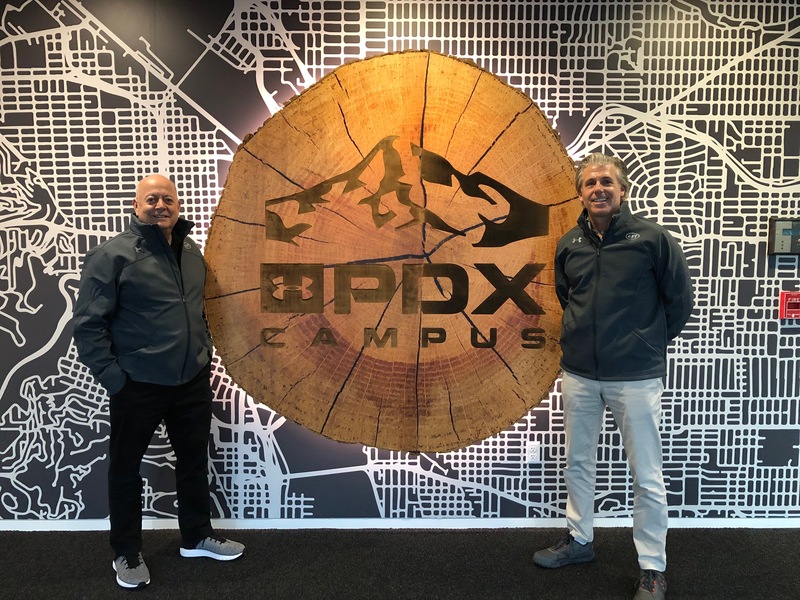 Members of ESF traveled to Portland, Oregon to visit Under Armour’s PDX Campus, UA’s innovation hub. Michael Rouse, ESF’s Executive Director and Co-Founder along with Rick Jacobs, ESF’s SportsLab General Manager and Regional Director, joined a select group of human performance experts from around the world to observe first-hand how UA trains their professional athletes on the key benefits of nutrition, hydration, stretching, sleep mastery and journal writing. In December, ESF announced their exclusive partnership with Under Armour to create SportsLab: ESF Sports Camp reimagined for the next generation athlete. It’s where multi-sport play, science, and character intersect to develop a young athlete’s skills and confidence while having serious fun. Developed by ESF, SportsLab infuses all the fun of Sports Camp with the best of Under Armour’s enhancing skill development training while building on principles backed by science to teach campers to perform better, faster, stronger, and longer. “This summer at SportsLab, campers will be able to continue to add tools to their tool belt and use the skills they learn well past their time at ESF, making their experience an educational and developmental opportunity that will last a lifetime,” Michael Rouse said. Enrollment is limited and applications are accepted on a first come, first serve basis. To enroll go to ESF Sports Camp for more information.